On the surface, we know it’s a healthier option to buy whole grain foods such as whole grain pasta or whole grain bread. But do you know what type of grains you’re buying and why it’s so beneficial to your health? One grain to keep on your radar is Amaranth. Amaranth has a long and rich history; it’s earliest known use was in Aztec religious rituals. Amaranth has long been valued due to its rich nutritional content and the wide array of benefits one can enjoy when making this grain a staple in their healthy and balanced diet. While amaranth is officially classified a grain, it actually is a seed, just like quinoa. Derived from the amaranth plant, a single plant can produce a bounty of nearly 60,000 seeds. If you are curious about the rest of the amaranth plant, other parts of it are edible too. For example, the leaves of the plant can be a great addition when added to soup or stir fry. These leafy greens can commonly be found in Caribbean and Asian dishes. Despite its exotic applications, amaranth can be found growing in parts of the United States, such as North Dakota and Nebraska. Native to Peru, amaranth plants can also be found growing in the wilds of Thailand, China, Nepal, Mexico, and Russia. 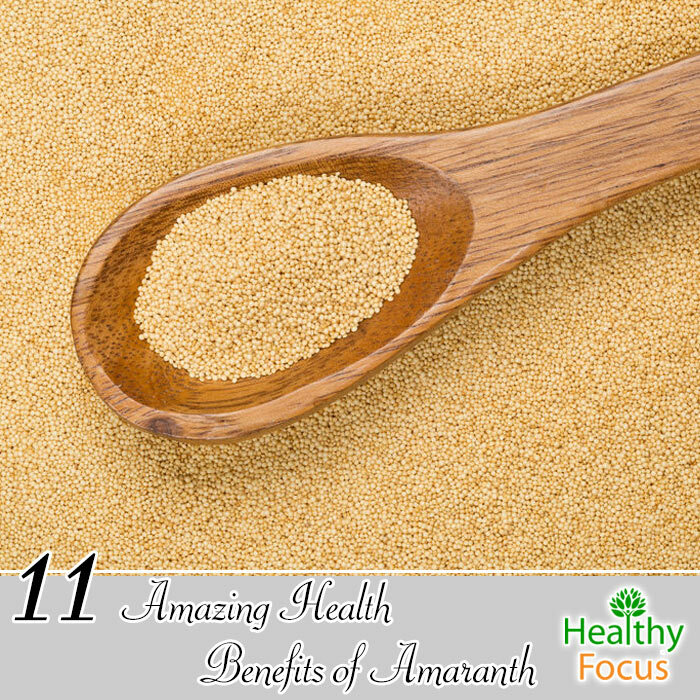 Due to the rich nutritional content of this grain, regularly consuming amaranth provides a unique set of benefits. Amaranth is a delicious way to get a dose of fiber and protein, while boosting your immune system or even improving the condition of your hair. Listed here are just some of the many benefits that Amaranth can provide for you. Looking for a delicious way to get your daily source of vitamins and minerals? Consider adding amaranth to your meal. By consuming amaranth, you boost your consumption of minerals potassium, calcium, zinc, magnesium, phosphorous, and copper. It’s vital to get enough minerals in your diet, as they are responsible for building and repairing bones in your body, boosting your body’s ability to stay hydrated, and providing a solid foundation for the various functions and processes of your body. Amaranth is also a great way to boost the vitamin content of your meals incorporating such vitamins as A, C, E, and B-vitamins such as riboflavin, folate, niacin, and vitamins B5 and B6. Getting enough vitamins in your diet is necessary to help control the hormones within your body, which is the precursor of nearly all the body’s functions. On top of all the vitamins and minerals amaranth has to offer, this grain is also a great source of protein. Quite possibly one of the most valuable resources of amaranth, the protein-rich content of amaranth makes it possible for the body to break down this plant-based protein and convert them into amino acids, which in turn the body converts into usable protein. Your body needs protein to build new tissues and cells, an important part of healing and defending your body against disease. Those looking to boost their daily protein consumption should know that amaranth contains the highest concentration of protein in comparison to other grains. Speaking of amino acids, amaranth contains lysine, which primes the body for absorbing calcium, effectively helping your body to generate energy and build muscle. If you’re still not sold on the nutritional integrity of amaranth, consider its fiber content. Getting enough fiber in your diet helps the digestion process move along, adding bulk to your bowel movements and cleaning everything out in an efficient manner. Fiber also prevents constipation while preventing diarrhea. Adding fiber to your diet is also great if you’re trying to maintain a healthy weight, as fiber is filling and prevents overeating. Other benefits to fibers are glucose control, blood pressure regulation, and helping the body to maintain energy levels. Those suffering from a gluten intolerance or are maintaining a gluten-free diet will be happy to know that amaranth is gluten-free. Adding amaranth to your gluten-free recipes and meals is a great way to increase their nutritional value. The fiber-rich content of amaranth lowers levels of bad cholesterol in the body. By controlling cholesterol, you help prevent your arteries from getting clogged, reducing rates of heart disease, heart attack, and stroke. High in potassium, amaranth helps to reduce blood pressure by dilating the blood vessels and encouraging blood flow, effectively reducing the pressure placed on your heart. Amaranth is also great for the health of your heart due to its vitamin K content and the high level of phytosterols. Regularly consuming amaranth helps to prevent the development of heart disease along with other ailments that plague your heart health. Being a fiber-rich food, amaranth ensures the smooth passage of food throughout your digestive system. This also enables your body to fully absorb nutrients and vitamins, keeping your immune system and body strong and healthy. Those suffering from celiac’s disease will find that amaranth is an easy to digest food and a great alternative food choice. We rely on our immune system to keep us healthy by protecting our cells from disease and fighting viruses and bacteria when they do manage to overtake us. Due to its high content of vitamins and minerals, amaranth boosts your immune system. Regularly consuming amaranth may also be a good preventive measure, especially during cold and flu season. Amaranth contains naturally occurring anti-inflammatory properties. By reducing inflammation, you can help treat painful inflammatory conditions such as arthritis. Other inflammatory conditions that may benefit from the consumption of amaranth are diabetes, heart disease, stroke, and possibly even cancer. Consistently consuming amaranth may help to reduce your chances of developing cancer not only due to its anti-inflammatory properties, but its antioxidant properties a well. These two properties help to protect your cells from mutation and even help to repair the cells already damaged by free radicals. Anti-oxidants seek out free radicals, which are toxins absorbed by the body through many avenues, such as environment, food, and various bad habits. As we age, our body starts to break down and degenerate, it’s a fact of life. However, there are things you can do to slow the degeneration process. For example, amaranth is rich in vitamin A and carotenoids, which are both antioxidants associated with preserving the integrity of eye health. By adding amaranth to your diet, you can help to protect your vision by slowing the rates of macular degeneration and preventing the development of cataracts. The antioxidant content of amaranth reduced oxidative stress and therefore protecting your ocular system. Amaranth contains an amino acid called lysine. Lysine is important because it helps your body absorb calcium, which is fantastic for the health of your hair. This prevents hair loss by strengthening the follicles and encouraging hair growth. Consistently eating amaranth in your meals may even be the ticket to preventing male pattern baldness, however, more rigorous scientific testing needs to confirm these results.